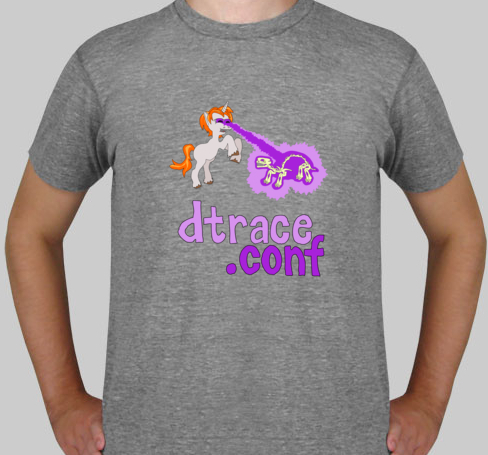 In April, 2012, I organized and ran the second-ever DTrace conference (the first had been held in 2008). I found the venue and sponsors, did all the logistics, live streamed and filmed the entire day’s proceedings. It was run somewhat unconference style, with Bryan Cantrill emceeing, so the final list of talks you see below emerged over the course of the day. Perhaps my greatest feat for this conference was persuading the Oracle DTrace for Linux team to attend and speak! For a good overview and wrap-up, see Adam’s blog post on dtrace.conf. Many more videos about DTrace can be found in my YouTube DTrace playlist. This entry was posted in portfolio, what I do and tagged Adam Leventhal, Brendan Gregg, DTrace on February 9, 2014 by Deirdre Straughan. In 2008, the ZFS Storage Appliance (nee the Sun Storage 7000) was one of the first architectures to add flash SSDs between the existing tiers of disk and memory. The Hybrid Storage Pool (HSP) offered completely new economies, but with both known and unknown idiosyncrasies. Adam Leventhal, the inventor of the HSP, will talk about their functionality and utility, pitfalls and shortcomings, as well as the next steps for ZFS amidst an ever changing landscape of technologies and economics. Making the Impossible Possible: Disposable Staging Environments At Scale ZFS Day Panel: The State of ZFS on… ZFS State of the Union Why 4K? This entry was posted in portfolio and tagged Adam Leventhal, video, what I do, ZFS Day on October 25, 2012 by Deirdre Straughan. This entry was posted in portfolio and tagged Adam Leventhal, DTrace on April 7, 2012 by Deirdre Straughan. Adam Leventhal of Fishworks, at the Open Storage Summit 2009. This entry was posted in portfolio and tagged Adam Leventhal, video, ZFS on November 4, 2009 by Deirdre Straughan.